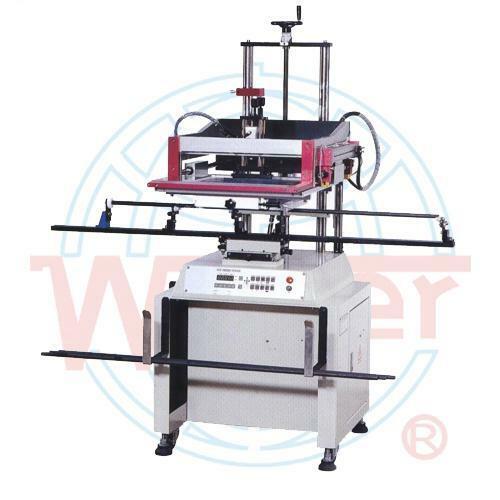 Special screen printer for curve surface(WE-250/400/500C3) - Guger Industries Co., Ltd. Application: Single color printing for thin pole. A digital microprocessor control is being used on the unit with "DEFAULT" diagnostic system easy for operation and maintenance. Use the Germany made "FESTO" and Japan made "SMC" pneumatic components. An advantage and optional "Left to Right" printing way to lower ink consumption is designed.